Be in the know about all the fun we've got up our sleeves! This collection will be at Twirl Boutique from March 1st through March 2nd. Call or request your appointment today! We will be at How Charming this year & would love to see you there!! “a carefully curated wedding market brought to you by the people who know kentucky brides best. This weekend we'll be hosting a Sara Gabriel trunkshow! That means we will have tons of gorgeous bridal accessories in the store and have special offers for this weekend only on SG pieces! 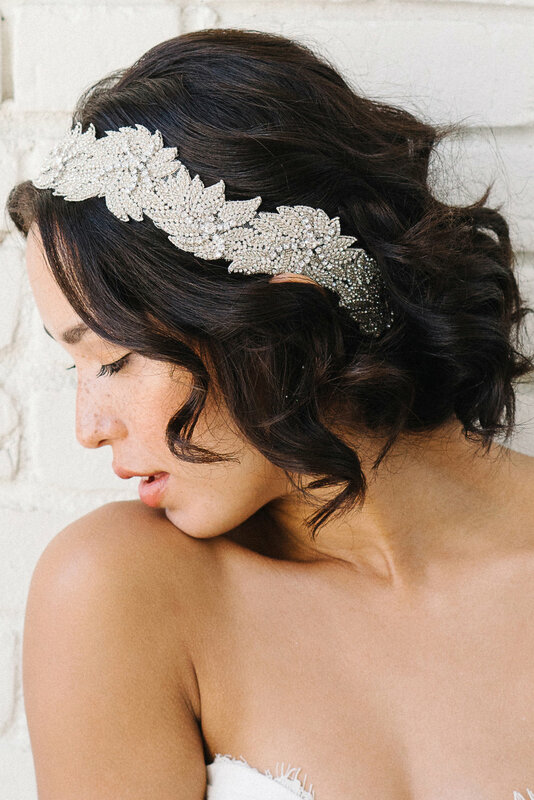 It's a great weekend to shop for those finishing pieces of your bridal look. We are SO excited to team up with Draper James again for a fun night with our Twirl Family! Our first event was such a hit that we thought we'd do it again!! Read about all the fun we had HERE! So mark your calendars and come hang out with us on March 1st! We hope to see you there. Xo! We're so excited for our Sara Gabriel trunk show coming to Twirl the weekend of April 28-29. Check out their gorgeous collection here: https://www.saragabriel.com/. It's never too soon to book an appointment so feel free to request a time online or call us at 859.309.2493. We look forward to having you come shop with us! FEBRUARY 26 + 27: BUILD-A-BRIDE BY HEIDI ELNORA TRUNKSHOW. THE DESIGNER, HEIDI ELNORA BAKER, WILL BE IN ATTENDANCE FOR THE WEEKEND. FRIDAY NIGHT THERE WILL BE VIP APPOINTMENTS & COCKTAILS WITH THE DESIGNER AND SATURDAY WILL BE A FULL DAY OF APPOINTMENTS THAT WILL HAVE HEIDI HELPING OUR BRIDES FIND THE DRESS OF THEIR DREAMS!